Your big project launch is coming down to the wire, and you’re getting antsy waiting for the i’s to be dotted and the t’s crossed. You want to see everyone’s progress, so you can be assured that the project will be completed on time. So, you decide to hold an impromptu meeting to light a fire under your team. You’ve been trying to load a file into your conferencing platform for five minutes, but it just won’t work. You can hear tapping feet and sighs of frustration on the other end of the line as your colleagues become impatient awaiting the material. After some time, you give up and resort to email—a process that takes extra time--forcing attendees to leave their conferencing platform to obtain the file. There are so many more options for businesses today with the increased use of the Internet which makes it easier to reach a global audience, creates more opportunities and solves a lot of business problems from the past. With all the advances in web conferencing, businesses are able to use a conferencing provider that offers a vast array of features to reach out to vendors, customers and business partners who are located around the world in a cost-effective and easy manner. This important tool makes it easier to communicate and even collaborate, no matter the distance. By definition, management requires you to evaluate and implement changes in your corporate strategies, procedures and technologies to increase your odds of success. However, many businesses fail to implement changes in terms of technology. 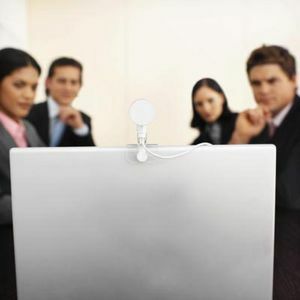 This includes finding a web conferencing provider to increase efficiency and effectiveness in communication. 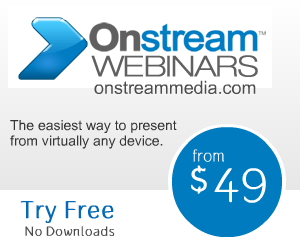 Audio conferencing has grown in popularity with businesses. If your business is considering adopting this useful tool, you need to be able to evaluate the benefits of each conferencing provider and weigh it against the costs. With the following tips, you will increase your chances of finding the right audio conferencing company to meet your business’s needs without spending too much money.